Arriving early so you can participate in Wednesday's activities? After a day of traveling, kick back, relax and join your peers for a Seattle experience and early dinner. Lucky for us, we don’t have to travel to distant vineyards to taste the killer offerings of Washington's bountiful grape harvest. Join us as we experience two family owned and operated award-winning wineries with facilities in Seattle’s famed SoDo neighborhood—guided by our expert sommelier guides. Meet the winemakers, opening up their tasting rooms and personally pouring tastes just for us, and enjoy some of the best wines the state has to offer and maybe even some barrel tastes for the adventurous. Seattle is staking its claim as one of the top places to taste famed wine in the state and CIO Summit attendees will get an exclusive front row seat. Learn the secret to why more than half of all Washington wines have been rated 90 points or more by the Wine Spectator 8 years in a row! Following our winery tour, enjoy dinner with breathtaking views from a historic perch. This is a can’t miss! *Compliments of our founding association sponsor HFTP as well as HTNG. 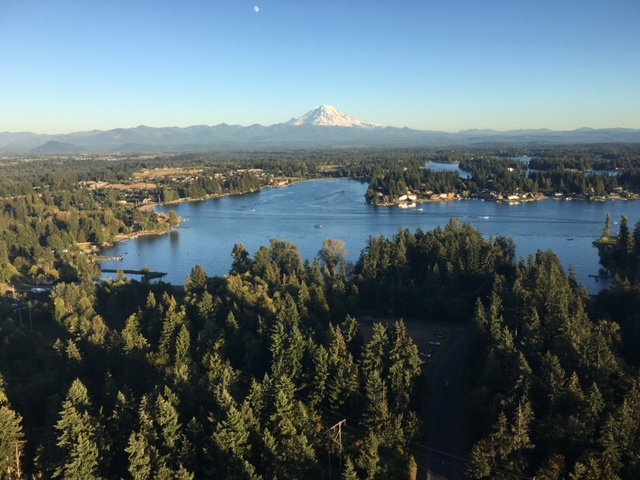 You may only take one hot air balloon ride in your life so why not with your peers in the breathtaking Pacific Northwest? Come experience this bucket list item in one of the most beautiful landscapes the U.S. has to offer. 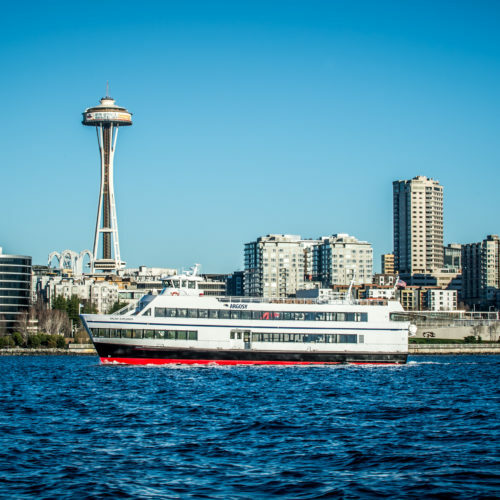 You’ll get amazing views of downtown Seattle, the Space Needle, Tacoma, Lake Tapps, and the beautiful Cascade Mountains. You will even fly right in front of the 14er Mt Ranier--an exclusive flight pattern few get to fly. 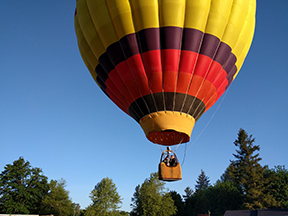 You will fly directly over rivers, touch the tops of the trees, and experience the serenity of balloon flight. Great photos and a locally sourced gourmet breakfast and champagne aside--we think this one is a must-do! *Space is limited to 22 riders. All fees will be taken care of by our sponsors and breakfast (and lots of coffee!) are provided. Please dress comfortably for climbing in and out of a balloon, closed toes shoes, and bring a jacket. Note there is an enforced combined weight limit for balloon baskets. All riders must enter weight when registering so basket groupings can be formed. Each morning, our local CIO Summit running guide will take our group's runners to a different part of the city. There is so much to see so close to the front steps of the Motif Seattle. Runs will be catered to the participants' speeds and interests. For day 1's pre-sunrisr run, get ready for headlamps and reflective vests while CIOs do Dawn Patrol! Get ready for an unforgettable culinary challenge! Each team of CIOs will be assigned a chef from the prestigious Seattle icon Tom Douglas Restaurants, your own seaplane and pilot, and a limo. You will plan your meal and take off (literally) to find your must-use local item. Then visit spots like the infamous Pike Place Market to forage and find ingredients for a competition-worthy meal. You will return to your designated kitchen at Hot Stove Society and prepare your feast. CIOs will plan, strategize and work together for the coveted top prize from celebrity judges. After the competition and a winner is declared, then all CIOs will dine on their creations together. All fees will be taken care of by our sponsors, breakfast will be provided and lunch will be prepared...by YOU! 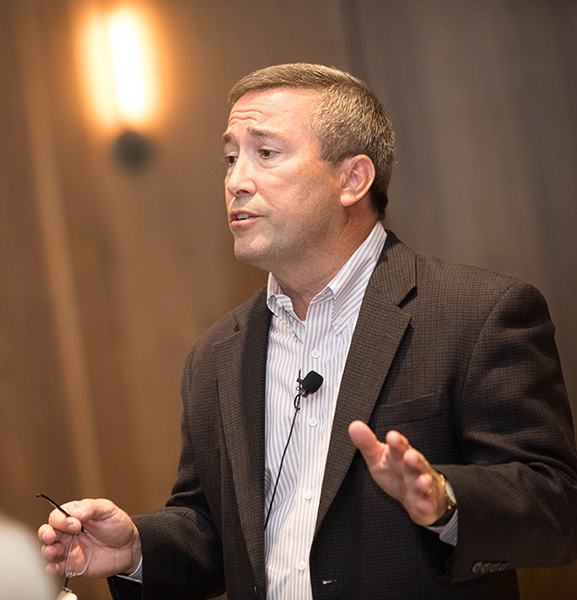 It’s no secret: the CIO Summit focuses on peer-to-peer interaction. It is important to us that you get to meet everyone and we are very creative when it comes to networking and our opening icebreaker. It can be silly, but is always fun. Historically this session is one of the highlights of the entire event and it has always been the last session held at the Summit. 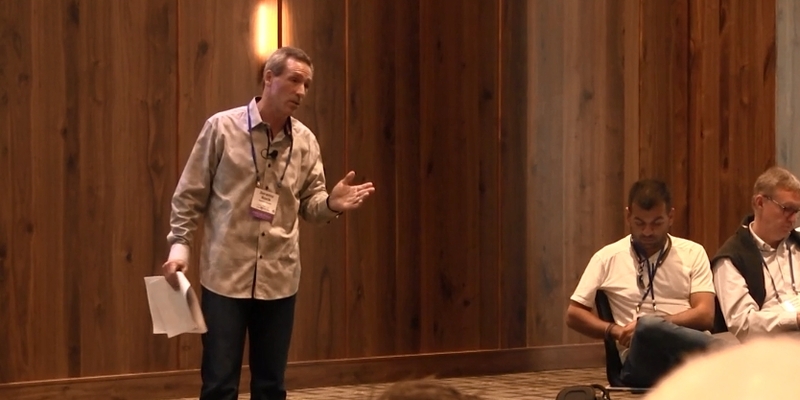 There is no doubt this session inspires conversation and debate and consistently leaves attendees wanting more. So, new for 2018, we have moved this as the kickoff session versus the caboose and extended it to two hours! With CIOs seated all in a round, we will talk about things no one else dares discuss. We've talked about the elimination of your job and shared valuable trade secrets of how to sell an initiative internally. This year’s “intervention” promises to tackle the tough questions and is definitely NOT politically correct! Come prepared for topics and issues that you will be consistently re-hashing with your peers for the next three days. Moderator: Jeremy Rock, president, RockIT Group. What better way to enjoy the Summit's first official night in Seattle than out on the water! Please gather promptly at 5:45 pm and bring your badge. We will walk together to the pier and board the gorgeous new 125-foot Salish Explorer. 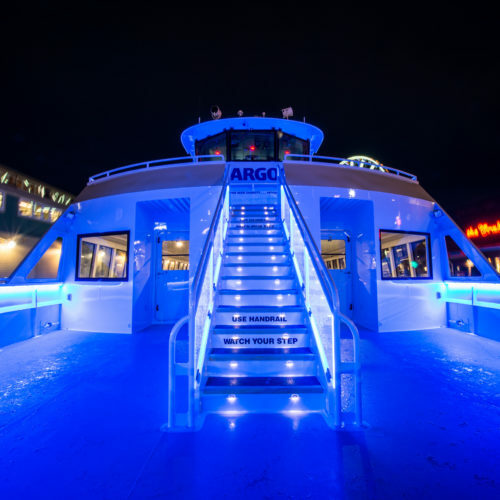 Come see the unique Pacific Northwest experience we have planned while taking in an unforgettable view of the Seattle area and networking with your peers. Plus we will catch a few Wednesday night CYC yacht races in Puget Sound off Shilshole with the locals. *Wear comfortable shoes (ladies no high heels) and bring a jacket. Spouses/significant others are welcome to attend this evening's events for a fee of $225 USD. Each morning, our local CIO Summit running guide will take our group's runners to a different part of Seattle. Runs will be catered to the participants' speeds and interests. Our keynote speaker will address the specifics of the two hemispheres of the CIO skillset: navigating the journey and the importance of balance in technology management and business management stepping towards a seat at the table or career progression beyond CIO roles. Attendees will learn a path of personal development and team member growth in building the industry technology leadership of the future. Speaker: Dr Marianne Broadbent, Managing Partner, NGS Global. Even the best, most thought out plans are subject to drastic change following the occurrence of an unexpected event. You may have been advised “to plan for the unexpected” while negotiating that critical vendor contract, but how often do you really need to enforce that no-assignment provision? Greg will lead from personal experience an interactive discussion about the fallout from several forms of unexpected events, including vendor or supplier meltdowns and the passage of widespread legislation or regulation. This session, led by a CIO from the audience, will tackle voice in the room. Is it coming? Is it needed? Are there risks? Everybody is talking about it, but who is doing it? How? Why? Would you do it? If so, what are you goals? If not now, then later? Early adopters have had mixed results, should you wait? So many questions, so few answers. Speaker: Andrew Arthurs, SVP and CIO, Two Roads Hospitality and Christian Cooper, Vice President Information Technology, Dream Hotel Group. This speaker will provide personal insight into the journey of compliance of customer information and real life practical impact to business from the perspective of a global organization sitting above and across multiple disparate hotel management brands. With a few months of reflection after the deadline, September should be the perfect time to have this discussion. Speaker: Christopher Ahlgrim, Regional Head of Development, Global Hotel Alliance (GHA). Information security in the age of the internet and connected systems has become a major focus point and risk management factor for executives across every industry. The Federal Bureau of Investigation will provide an overview of the nature, makeup, sophistication and scale of third party organizations that are leading the information security threat against the hospitality sector, and in broader industry. Our audience will gain an appreciation of best practices and approaches that can be applied in business to protect company information, and the engagement that government bodies place on assisting commerce to protect information. Speakers: Kevin Brennan is a Special Agent and Randy Pargman is a Computer Scientist both with the Federal Bureau of Investigation (FBI). Our fast but fulfilling annual update from Frank Wolfe, HFTP’s CEO. In this session, you will learn the curriculum and program makeup of industry tertiary and post graduate travel, hospitality and tourism education as it relates to technology discipline. The speaker will provide vision on the makeup and qualities of technology resources, and expose the type of human resource they are developing based upon insight into the future role of technologist and the approach to business problem solving. You will walk away with guidance on suggested in-house company programs and training that can help to shift existing industry technologist toward a future-oriented role. Speaker: Ian Millar, Manager of Inst. of Business Creativity & Senior Lecturer, Ecole hôtelière de Lausanne. *Bring your Badge and please be prompt. Buses will pull away at 2:30 p.m.
Get ready for a First Class CIO Summit experience like never before. 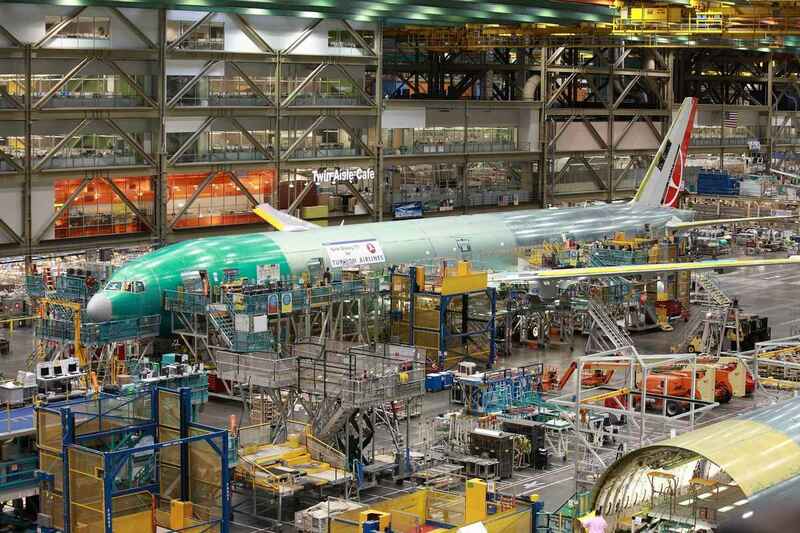 Our evening will start with a private tour of the Boeing production line in Everett, a unique opportunity to view 747, 777, and 787 Dreamliners being assembled before they take to the sky in the world's largest building by volume. With any luck, we will also see Dreamlifters coming and going on their private runway. Learn fascinating facts about Boeing and the planes that bear its name. Then we will proceed to the Strato Deck for sunset and a one-of-a-kind surprise in the sky Hospitality Upgrade-style and your chance to see historic planes upclose and personal--maybe even with a passenger you recognize. Followed by a talk from Boeing Global Services' Vice President, IT Business Partners, Duane Wehking, dinner and exploring in the dramatic Aerospace Gallery. 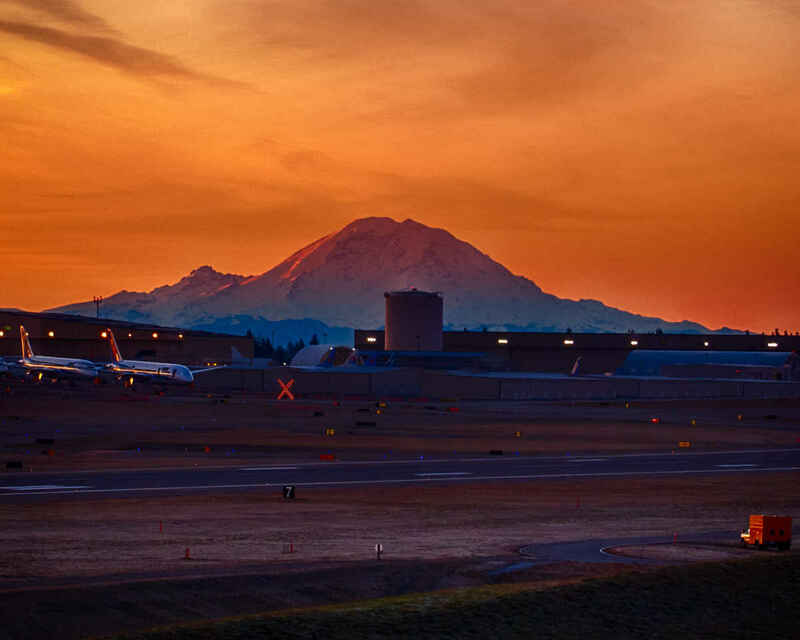 CIO Summit attendees will have the unique opportunity to visit this historic Paine Field airport, that was a backup military base for 2 wars, before it turns commercial at the end of the year and TSA makes major changes to its accessibility. Join your peers for an unforgettable evening and immerse yourself in aviation's romantic, historical roots! **Spouses/significant others are welcome to attend this evening for a fee of $225 USD. Note the group cover photo for Hospitality Upgrade's fall issue will be taken this evening. Due to the Seattle location of the CIO Summit, we have shifted the conference to conclude after breakfast on Friday to give our attendees plenty of time to travel home. Estimated travel time from the Motif to SEA at 8:15 a.m. is between 14-22 minutes. Please plan flights accordingly.